I have quite a few things to share with you guys in the next few days! Keep a lookout! 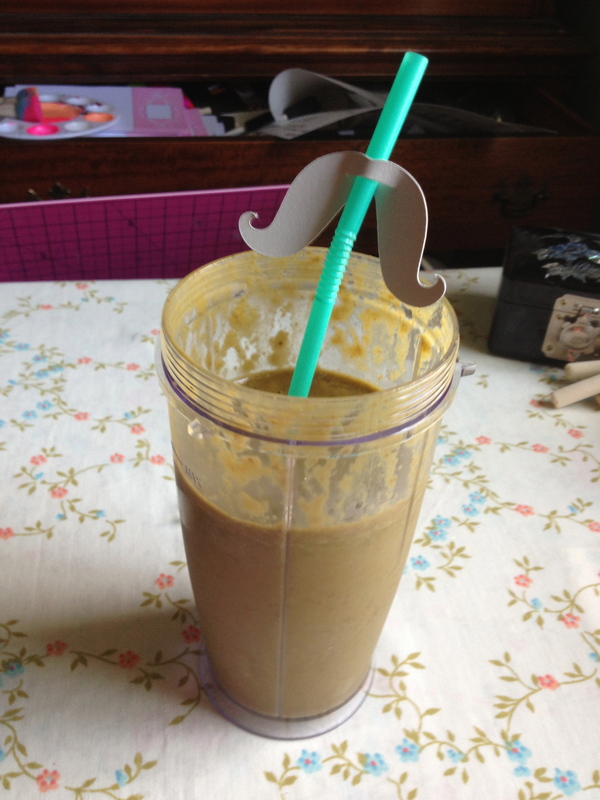 I was sitting here, catching up on some blogs, watching “Spongebob Squarepants” (because I’m secretly my 5-year-old niece) and drinking my coffee shake before my workout! 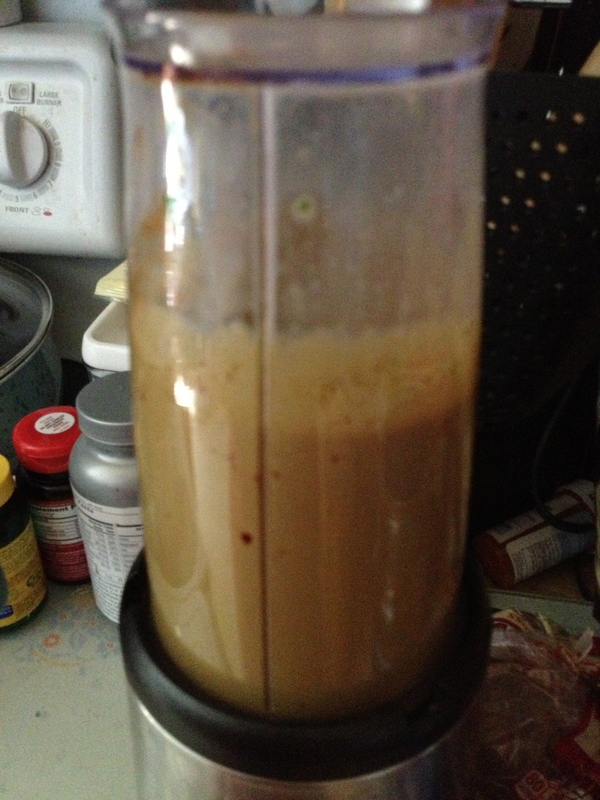 Put in everything but the ice cubes in a single blending cup, we have a GE single blender, but a Bullet or any other single blending options will work. 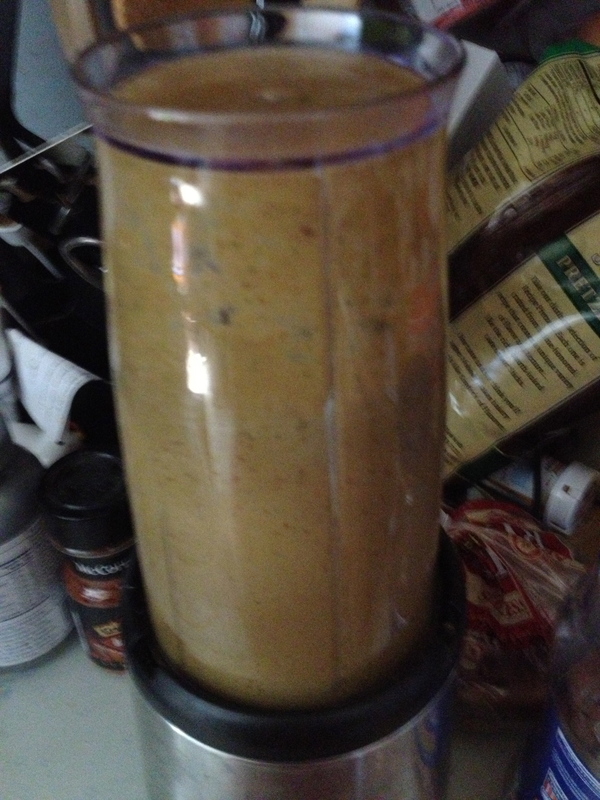 I haven’t made a massive amount, so I’m not sure how tripling the recipe works out, shouldn’t be too bad. The whey powder we use is Visalus but I’ve found another brand at GNC that I’m in love with, I’ve only had the samples but plan to purchase it after we’ve used up our stock of “Sweet Cream” powder. 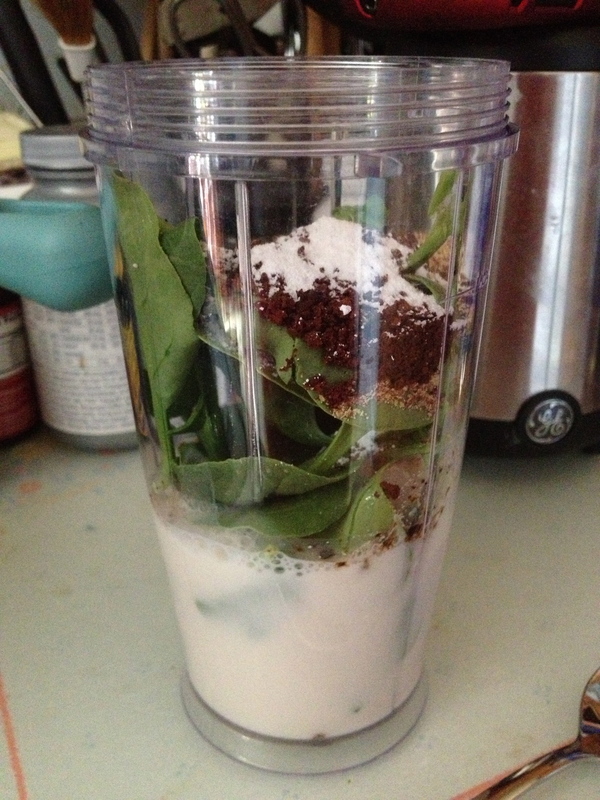 Any vanilla or cream powder flavor should work, even chocolate! 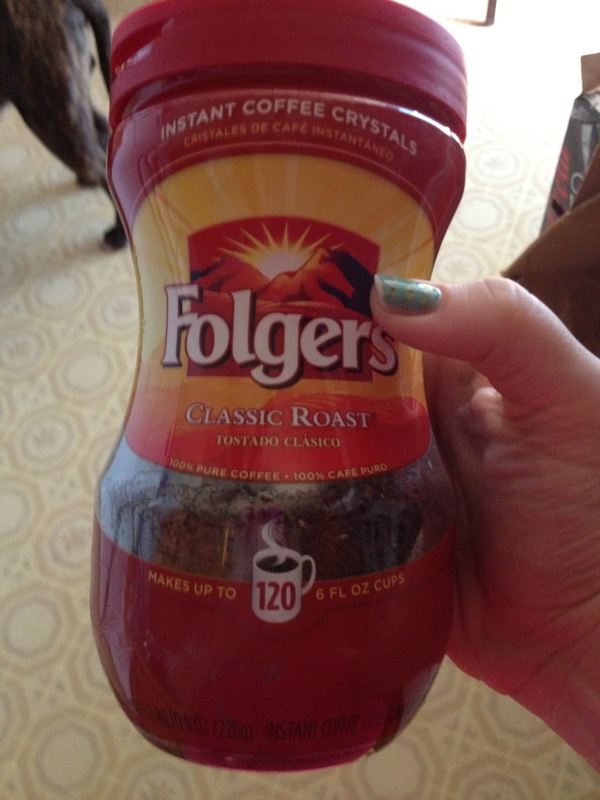 That will make it a bit more mocha-y! 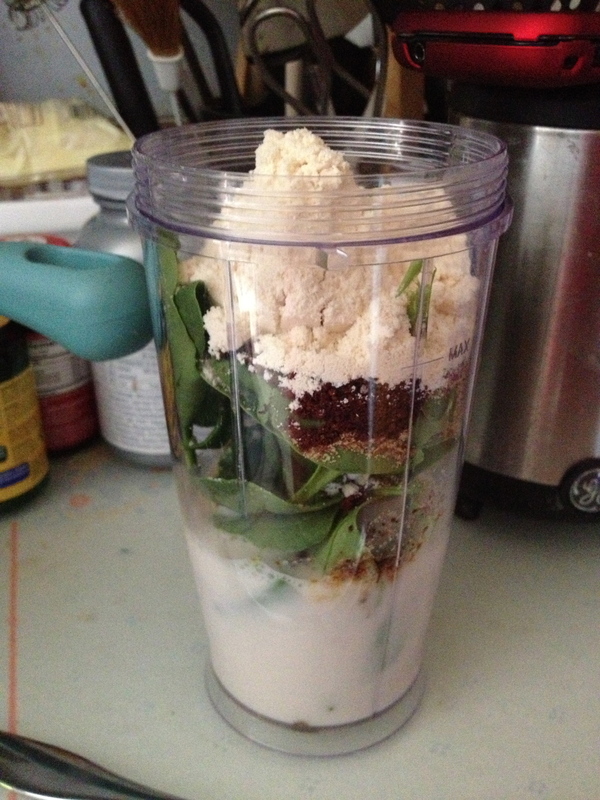 Add the ice cubes, depending on how thick you want your shake and then blend again until smooth and creamy! 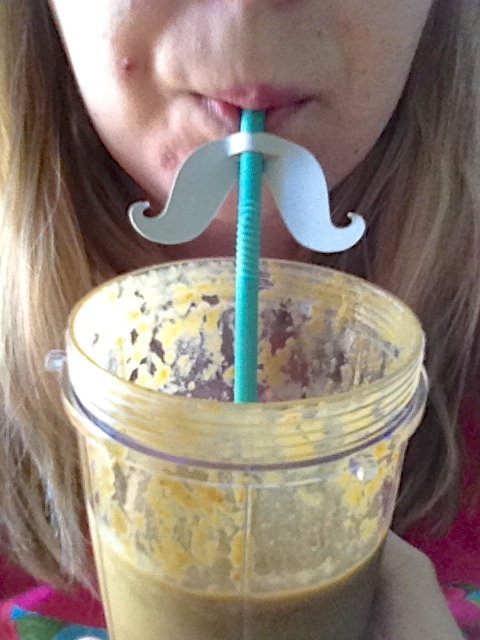 Each shake is not complete without a mustache straw… I’m just saying. 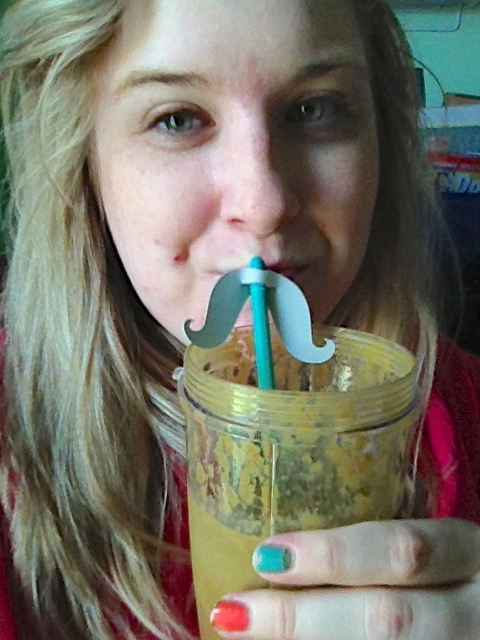 I mustache you, what’s your favorite flavor of protein shake! ?